Your hands are the most useful parts of your body. Women, in particular, are mostly concerned in keeping their hands not just beautiful, but healthy as well. Your hands are not just a part of your body, it’s also a representation of our grace and poise. 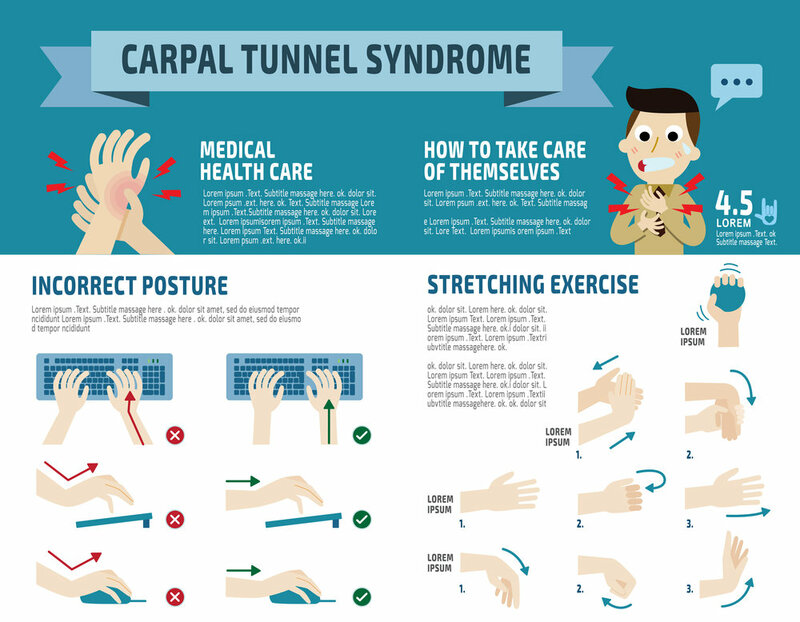 Carpal Tunnel Syndrome is a condition that causes pain, tingling sensation, and numbness to our hands and arms. In most cases, this condition gets worse in no time at all, which is why early treatment should be delivered. A carpal tunnel specialist buffalo, like Paul Paterson, MD, in NY can easily be found if you are seeking for an excellent place to help you. 1. Your doctor will let you undergo a physical examination. After ensuring that you already have a doctor who offers quality care for your hands, the next is taking a physical exam. In undergoing a physical review, being honest with your doctor about your health conditions and medical histories is advisable. As part of the physical examination, expect your doctor to examine some parts of your body as well. This includes inspecting your neck, arms, wrists, and hands, and simultaneously comparing both sides of your body. You don’t have to worry much about this test. This won’t hurt because your doctor will just press the inside of your wrist gently. This is to check if you feel any form of numbness, tingling, or mild electric shock on your hand. Another test will need you to flex your wrist and hold out your arms. Stay in this position for about a minute. This is to test if you feel any form of numbness or pain in your fingers within that period. When this type is used, it is probably because your doctor is suspecting a severe kind of carpal tunnel syndrome. However, you don’t have to panic because it is not worse than you think. All you have to do is to close your eyes. Your doctor will use a small tool such as the tip of a paper clip to touch two points of your fingertips. Different specialists may have different approaches as to how they will conduct the examination, so it’s best to be prepared. Making the right health decision matters, as it will greatly affect your day-to-day activities. 2. Your doctor will recommend treatment after the diagnosis. It is vital that as soon as you are diagnosed with carpal tunnel syndrome, immediate action should be taken. Your doctor will evaluate which stage is your current condition. If it’s still in its early stages, it is still possible to halt or slow down the progress. You may undergo two kinds of treatments, namely nonsurgical and surgical treatments, depending on the severity of your case. Wearing a brace to keep your wrist from flexing, especially when you sleep. Taking medications such as NSAIDs or nonsteroidal anti-inflammatory drugs to ease the pain and inflammation is also advisable. Physical therapy or exercise can also be done to address your condition. Nerve gliding exercises in particular will help the median nerve to move more freely within the confines of the carpal tunnel. If nonsurgical treatments are not in any way sufficient in resolving the issue, then surgical treatments are what’s left for you. The severity of your case will determine which type of surgery should be performed. 3. Your doctor will address complications that might occur. Doing the things that are not advisable right after your surgery is usually the reason why bleeding occurs. Things such as heavy work-out, carrying heavy loads, or doing intensive works. Infection is possible to after carpal tunnel surgery. Your doctor may prescribe you medications such as antibiotics to treat your infection. In other cases, additional surgery is needed for cleansing out the contamination of a surgical wound. Carpal Tunnel Syndrome mostly occurs in women; this tingling in the median nerve is a condition which no one should overlook. For women, in particular, having a pair of beautiful hands portray a sense of vulnerability and toughness at the same time. Thus, having carpal tunnel syndrome is a big dilemma. However, in finding the right specialist that provides quality care, clear and helpful communication is essential. The right specialist is armed with abilities and specialties, but only has one focus -- you. To ensure that you found the right one, the guides on what to expect will tell you if they’re ideal or not.